Home / Articles by Njkinny / Indian Festivals / Happy Ram Navami! 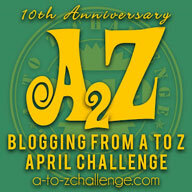 ~Why, When and How is it celebrated? Happy Ram Navami! ~Why, When and How is it celebrated? Today, i.e 15th April 2016 is being celebrated as Ram Navami by Hindus all over the world. Ram Navami is the day celebrating the birth of Lord Ram. Lord Ram was the seventh re-incarnation of Lord Vishnu (the preserver and sustainer of life). He was the eldest son of the King of Ayodhya, Dashratha and Queen Kausalya. Also the hero of the Sanskrit epic Ramayana , Ram is famous for his valour, his just nature and the ideal ruling conditions of his empire which earned his period of reign over Ayodhya the tag, "Ram Rajya" which was the period of righteousness, equality of justice and a time when rules applied and were followed by everyone, even the King who in order to prove his commitment to his people even left his wife, Sita at one time. When is it celebrated? What are its origins? Rama Navami falls on the 9th day of the bright fortnight between March – April, also known as a period of Chaitra. This period is also known as Chaitra Masa Suklapaksha Navami, and Rama Navami marks the end of the nine-day Chaitra Navaratri celebrations. People fast for nine days during Chaitra Navaratri and recitals of Ramayana are held in temples and at home. On Ram Navami, nine girls and one boy is worshipped and a feast offered to them with fanfare. The nine girls represent the nine forms of Goddess Shakti and the boy represents a Langur. After offering food and worshipping the nine girls and one boy, the nine days long fast is broken. The birth of Lord Ram is celebrated at home and in temples with elaborate prayer sessions and bhandara or langar ( food distribution drives for the poor and the devotees) are held after the prayer sessions where people contribute either monetarily or by helping in serving the food. People clean and decorate their homes. A variety of food is prepared and offered to God and people pray for the well being and prosperity of their family. Any charity done on this day is said to give ten-fold benefits so people donate generously to the poor and the needy. Overall, this day is a joyous affair where everyone rejoices the birth of Lord Ram and pray for a better and happier year. 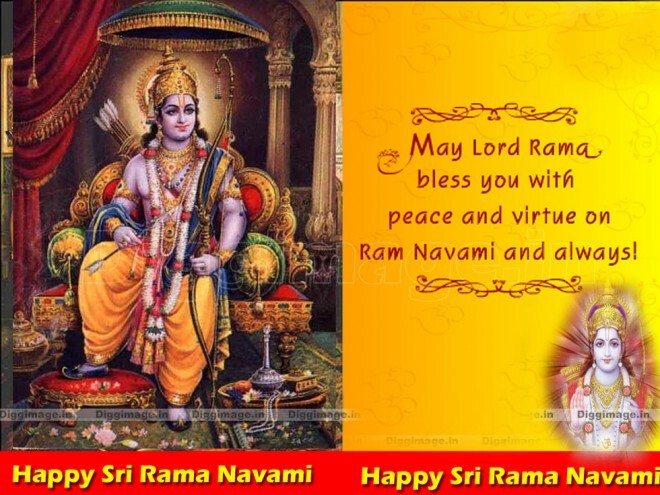 Njkinny's World of Books & Stuff wishes you all a very Happy and Blessed Ram Navami!